Library Services Manager Gwendolyn Haley and Executive Director Patrick Roewe. 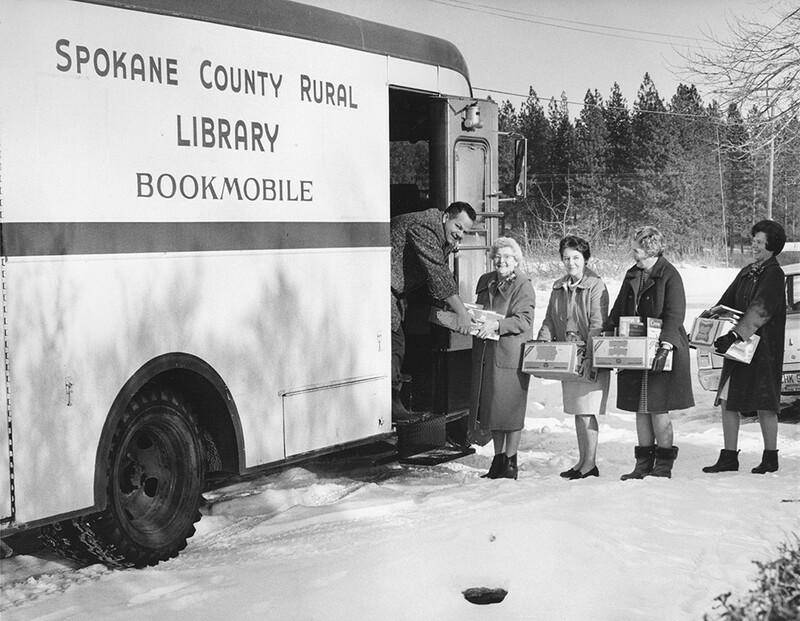 In the early days, patrons of what's now known as the Spokane County Library District would check out books to be delivered to them in the mail, and through a mobile library service called the Spokane County Rural Library Bookmobile — literally a library on wheels. Today, 75 years later, the 11-branch county library system's users can not only check out physical and digital copies of new or best-selling books, they can learn foreign languages and computer programs, hear live music and take classes in art, cooking and other skills. They can bring their kids to weekly storytimes and other learning sessions that encourage critical and creative thinking, as well as find resources on starting a business, buying a home, planning for retirement and much more. As the SCLD, as it's known for short, moves into its next 75 years, it does so under the leadership of new executive director Patrick Roewe, a 10-year employee of the district who envisions a future of continued innovation, offering library users even more diverse learning opportunities. "Libraries have always been known as a place for books. In the last few decades, and with greater intent recently, we're trying to shift that idea," Roewe explains. "We're still about that, but we're really about knowledge, and finding knowledge via books, but also learning programs and cultural opportunities; online learning databases and downloadable things. We want to expand where the knowledge comes from — people have a really cherished idea of what a library is, but we want to try and expand beyond that." In the early days, SCLD was largely a mobile book-lending service. This type of thinking has led Spokane County Library District staff to expand services to hands-on learning experiences like those at its new space in the Spokane Valley branch (also the district's first physical home, which opened in 1955) called the Studio, which offers a range of computer and technology resources, like access to programs in Adobe Creative Cloud's suite and professional filmmaking software and equipment. Another innovation on this scale is the Lab at the North Spokane Library, where, throughout this fall, the library hosts four local artists for a new Artist in Residence program. Each month, a working artist offers interactive workshops and creative learning sessions; the public can also stop by during open studio hours (Wednesday from 6-8 pm and Saturday from 10 am-1 pm, through Dec. 31) to observe art in progress and chat with the artists. In September, local sculptor and costume maker Makayla Miracle is on site, followed by artist and local arts consultant Karen Mobley (October), painter MiLinda Smith (November) and local muralist and painter Tom Quinn (December). The public can register online to attend scheduled, free workshops with each artist. The Lab space at North Spokane was added during a recently completed renovation of that branch, Roewe says, which was done to "give more space back to the public." Besides the artists in residence, the Lab has also been used so far for classes on vermiculture (composting with worms), reupholstering furniture, a summer lunch program and other instructional purposes. In October, SCLD also hosts its third annual Spokane Writers Conference at the North Spokane branch, a daylong event of free panels and workshops led by other writers on topics including poetry, children's literature, finding a literary agent and interviewing subjects. The Spokane County Library District has several other events lined up to celebrate its 75th anniversary this year. A special anthology, Spokane Writes: A Poetry & Prose Anthology, featuring works submitted by area writers of all ages, launches during a celebration on Nov. 4 at the North Spokane branch. The launch party includes live music, a reading and sales of the collection, with proceeds going to the Friends of the Spokane County Library District, the nonprofit volunteer group that supports special programming and events for the library. 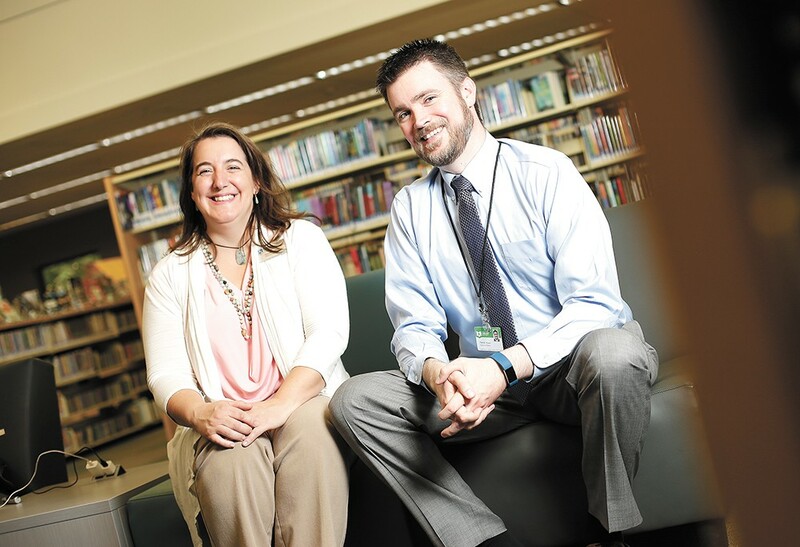 "We're excited — some of the names you'll recognize, and there are others you may not," says library services manager Gwendolyn Haley, a 13-year veteran of the district whose first job was reshelving books at the North Spokane branch when she was 16. Another facet of the 75th anniversary observance is a series of historical photo exhibits at each of the library district's 11 branches spread across Spokane County. The SCLD was officially founded in 1942 after county voters overwhelmingly approved (it passed with 96 percent, Roewe says) a tax increase to fund a regional, rural library system serving residents living outside of the Spokane city core, which was already served at the time by the Spokane Public Library system. "In 1942 we were still coming out of the Great Depression and entering into the war," Haley reflects. "It's really interesting to think a group of people said, 'Let's pool our tax dollars and build something that will last,' and build into the community good." The district grew over the decades as other libraries in rural, outlying communities — or the communities themselves — chose to be annexed into the system. Today, beyond the urban Spokane Valley and North Spokane branches, as well as the upper South Hill's Moran Prairie branch and the Argonne branch in Millwood, the remaining libraries are in Airway Heights, Deer Park, Medical Lake, Cheney, Fairfield and Otis Orchards. The 11th and newest branch, called the Book End, is located inside the Spokane Valley Mall. In the years since that important 1942 vote, the SCLD has diversified its offerings, first from only hardcover books to paperbacks and vinyl records in the early 1970s; now users can also borrow CDs, DVDs, audiobooks and physical objects, like STEM learning kits, LEGOs and even a telescope. "We have a unique role, because we serve infants to people late in life and all in between," Haley says. "I don't think you'll find, other than hospitals, anything else that serves that broad of a swath of everyone in the entire county — we serve such a huge and diverse population in terms of ages and stages of life, education, income and increasingly different languages." As the Spokane County Library District moves on into the next 75 years, its leaders and staff are committed to this long-held mission of innovation and prioritizing users' needs, whether they're bookworms who prefer physical paper in their hands, or users looking to capitalize on the variety of free educational and cultural services that encourage lifelong learning. Find a complete schedule of upcoming events and classes at the Spokane County Library District at scld.org.